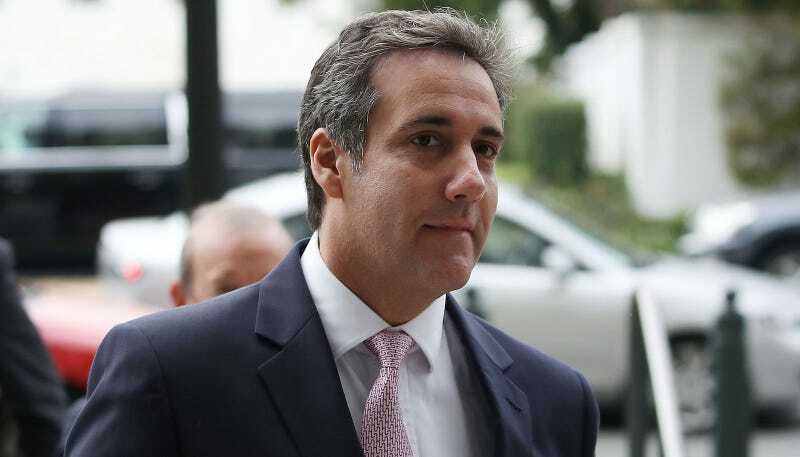 Cohen did not confirm with the Times why the payment was made (reportedly, it was made to ensure Clifford’s silence following an alleged affair with the president, which the White House has denied—and which, in an abrupt turnaround, a statement containing Clifford’s signature echoed). He also did not explain why on earth he would have coughed up $130,000 without reimbursement. Cohen told the Times that he was responding to an FEC complaint filed by watchdog group Common Cause, which argued that the payment constituted an in-kind donation to the Trump campaign. Excellent, glad that’s been cleared up—I am now able to conclude, with relief, that this appears to be a completely normal and appropriate situation with no bearing on the president whatsoever.